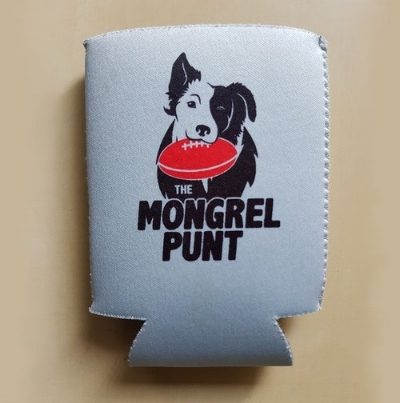 Ten Things I Learnt After Round Four — The Mongrel Punt Become a Patron! 1 - Melbourne thought the season started in Round 4. 2 - Brodie Grundy is the best ruckman in the competition - officially! Max Gawn held the mantle for a while, but Brodie is unstoppable. His athleticism and marking make him the most complete ruckman going around, and with the Adelaide teams sniffing around, I daresay the Pies will need a 7-figure salary to retain him. 3 - After Dangerfield's little spat behind play, the Brownlow is now between Lachie Neale and Patrick Cripps. It looks like Patrick might have to sit out a week or so after following in Dusty's footsteps and clobbering his tagger. Let's be honest here. To be an AFL tagger, you would have to have been a smartarse at school. I reckon star players should be allowed to smack them out once a game. I reckon that would be fair. 4 - Brisbane Lions had a bit of a reality check via a bloke with a funny name. Great start to the year for the Lions, but eventually the old habits had to come out, and Saturday was no exception. And letting a feller like McDonald-Tipingwuti off the leash for 7 goals (if you don't mind) showed some lack of intensity at times. And can I say, just on the subject of hyphenated names, I think when you end up with a name that long, we need to possibly combine the two names and shorten it. It's getting bit silly. He should henceforth be known as McWuti or Tipingdonald I reckon. What if his kids hook up with someone who has a hyphenated name as well? 5 -The Tigers forward set-up looked much better with one big target up front! We did question how it would work with Lynch and Riewoldt up front. And for the first couple of rounds, it looked a little clunky. Riewoldt needs to play up the ground for mine. Leave Lynch down front and he scores 80+ goals. 6 - North v Adelaide gave Carlton v Gold Coast a good run in the "crap football game" stakes. The skills in both of these games were abysmal. Where is Adelaide at? I had them in my Top 4. On paper, their side looks amazing. But they're just playing very ordinarily, and there are some players on their list who are on the wrong side of 30 and it's starting to show. 7 - The Perth Derby was one of the worst ones to date. I reckon if the AFL wanted to make the game more attractive to viewers, removing Ross Lyon would be a good start. 1.9 to half time means winning will be tough. The Dockers do like to drag other teams down to their level. The premiership favourites will need to play better than this to go back to back. 8- Brendon Bolton truly is a very, very ordinary coach. Some may say this is harsh, but when you have McGovern, Curnow, McKay and Casboult in the team, and the players kept kicking it to a 175cm forward in Gibbons who was brushed aside with ease on every occasion, that's the coach's fault. The club won't sack him as they will lose face, but another wooden spoon will mean supporters will walk away in droves. If, however, the club does decide to take drastic action this week, will Jack Bowes go down as the man who ended Bolton's career? 9 - I'm no betting man, but what odds would we have been given if we backed Brisbane, St Kilda and Gold Coast to be 3 and 1 after Round 4? This further backs up my point about the Carlton coach being no good. Dew, Richardson and Fagan have clearly got their teams playing at a stage of development we all thought was years away, while at Carlton, the longest rebuild has no end in sight. It's good to see these teams playing well, but it's damning on the once proud club. The 6-6-6 rule was going to create an avalanche of goals they said. It would free up the best players they said. None of this has happened, so I look forward to more rule changes. I'm going to suggest they shorten the ground by 40 metres and reduce the teams to 10-a-side. And they can widen the goals... Or, and this may seem radical, they leave the f&^*ing game alone!! !